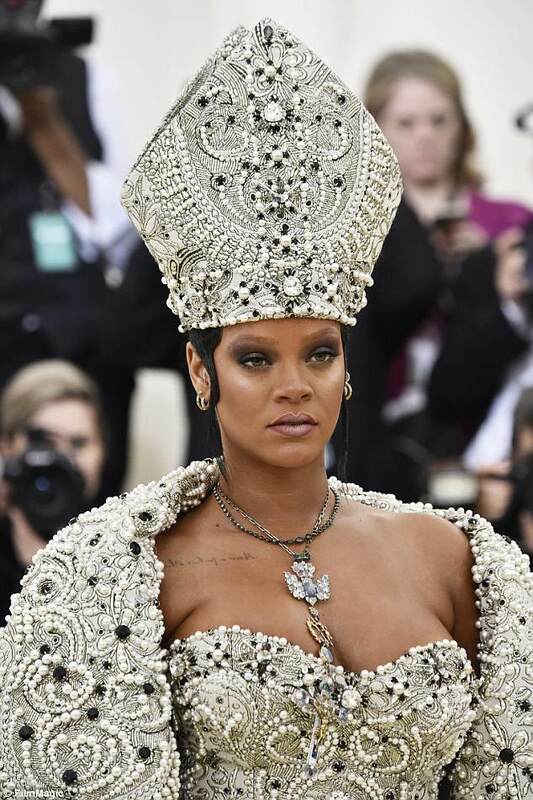 The 30-year-old superstar, Rihanna is giving off major Pope vibes at the 2018 Met Gala. She wore a headpiece that is similar to those worn by the leader of the Catholic Church while posing for pics at the event held at the Metropolitan Museum of Art on Monday (May 7) in New York City. Other attendees of the fashion fundraising event in New York wore cross necklaces and religious-looking veils to stick to the "Heavenly Bodies: Fashion and the Catholic Imagination" theme, Rihanna took it to the next level, per usual.